Have you ever thought what would happen if you were rendered unconscious in an accident? How would the emergency services know who you are, or where you live? How would they contact your next-of-kin? How will they find your medical history? Would they know that you are allergic to Penicillin? Would anyone know that someone needs to collect the children from school? If you live on your own, will someone look after your dog while you are in hospital? Message in a Wallet is a form on which you can write all the relevant information. You can then fold it and put it in a protective plastic pouch that can be stored with your credit cards. 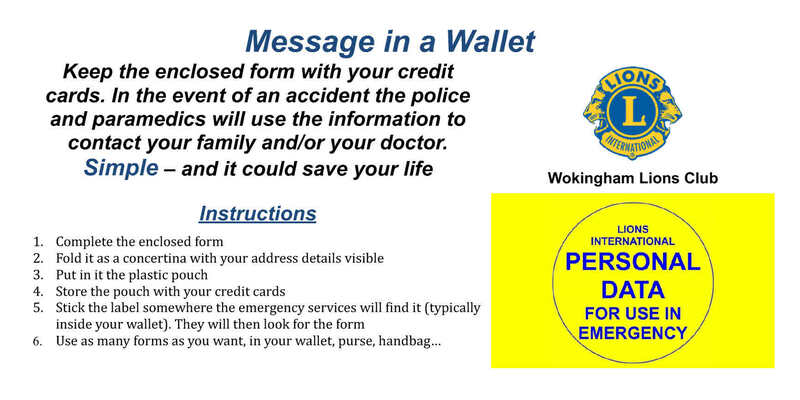 There is a sticker that you can put in your wallet or purse to notify the emergency service that there is a form. 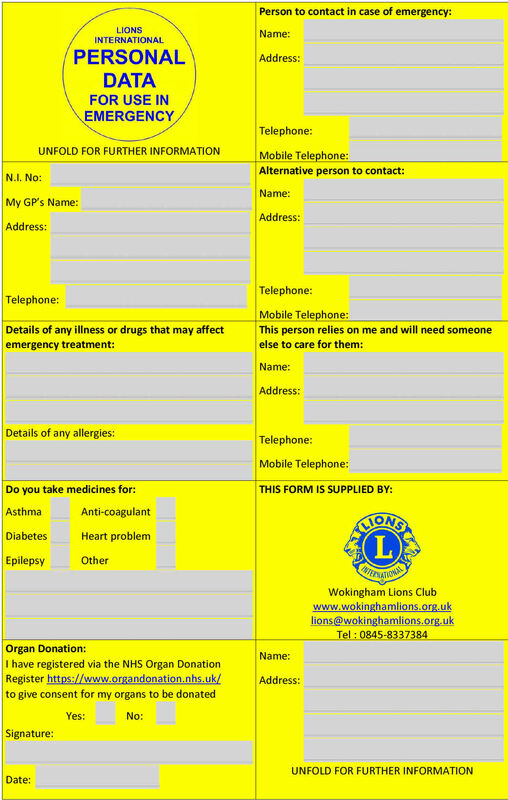 You can pick up the forms for free from you doctor’s surgery, chemists, public libraries and the counters of public buildings in Wokingham and the surrounding area.